Welcome to the Teacher Resources blog! Hello Teachers!! This is our blog! It’s just for instructors! We will post new information about ESL resources such as websites, new publications, technology in the classroom, worksheets, and creative ideas for use in your classrooms. This blog is also a forum for our ESL curriculum and sample lesson plans. You can subscribe to email notifications for new posts to the Teacher’s Blog. Scroll down the right hand column until you reach the subscription box at the end. Fill in your name (optional but recommended) and your email. You will receive a confirmation email. Open and click the link in the email. With every post notification, you will receive a short email with a link to the new post as well as links to unsubscribe or set post notification / category filters. 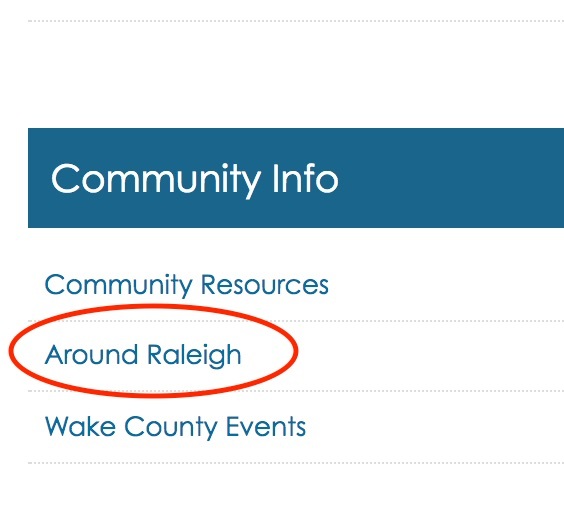 The Central Blog has a great page called “Around Raleigh” that can be very useful in our classes at this time of year. With pleasant weather finally arriving and spring break around the corner, it’s a good time to let our students know the variety of interesting attractions in Raleigh. It’s also perfect for a practical Around the Town lesson. The Around Raleigh page lists previously published Civics blog posts that describes museums, parks, pools and so much more. Take a look and you won’t be disappointed! In the recent ELPS Professional Development session, there was some discussion of graphic organizers. They can be part of the support and scaffolding that teachers supply to students. 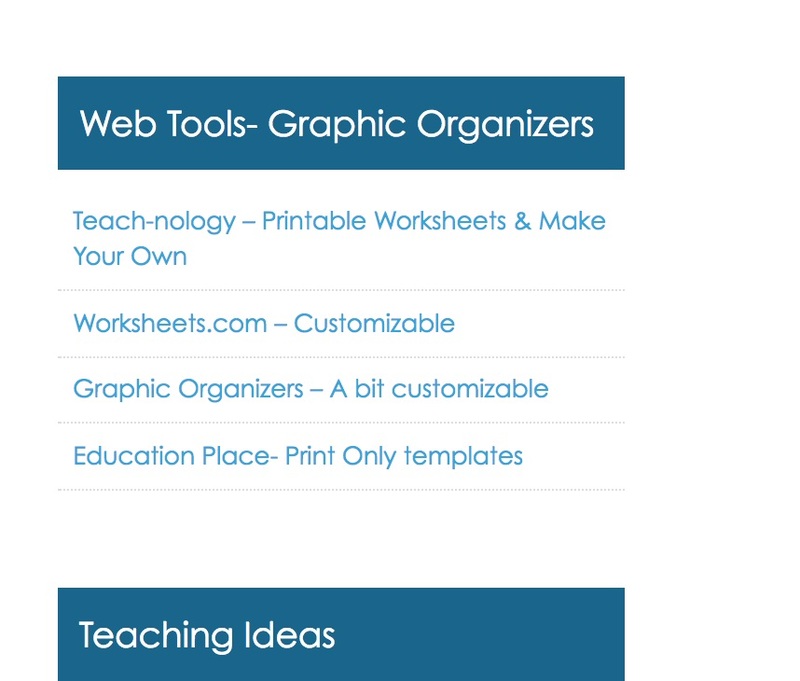 Many graphic organizers are used in various academic endeavors so it is important that students get familiar with them. 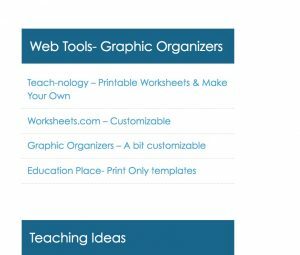 Graphic Organizer Makers that let you fill out content in your own graphic organizer. If you can recommend any other useful graphic organizer to add to the blog ( or as an app to our IPads) please send me an email or leave a comment here. Please take a moment and check out a series of modules being offered for 2019 for Working Women that can enhance job / career skills. Our first thought is always for our students and especially the higher levels can benefit from these classes. However don’t forget yourself! You may find these classes interesting too. The next category in our series of getting to know the English Blog is “Pronunciation”, an area that our students struggle with. They can use these links to help them with making specific sounds, discriminating between sounds (using minimal pairs for example), reductions and stress tips. Starfall – is favored by many teachers. Although geared for children, it’s extremely useful for adult beginners. The “Learn to Read” section has good sound families exercises. 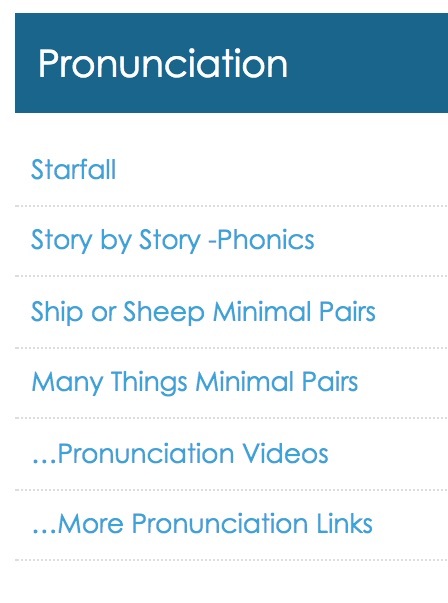 Story by Story Phonics Lessons– has very short, simple stories that focus on a particular sound. Both Ship or Sheep Minimal Pairs and Many Things Minimal Pairs are quick and easy ways to practice over 30 sounds. Videos are an excellent way to focus on certain sounds and the …Pronunciation Videos page has good several links. Finally the …More Pronunciation Links page lists many more sites (some for advanced learners) that focuses on reduction, mispronounced words and other issues. We are always looking for more good student sites for this difficult subject . If you have any that are not listed, please add a comment and let us know. A thanks to Elizabeth Reed for introducing me to a series of videos that can be easily used in our classes. Take a look at the “English Speeches with Big SubTitles” – it has inspiring speeches ranging from Martin Luther King Jr.’s “I Have a Dream” to Will Smith “How to Face Fear” to Jack Ma Alibaba’s “We Never Give Up” and many more. Videos range from as short as 2 minutes to about 1/2 hour. Each has clear, large subtitles that help our students follow the speech easily. A link to this video series has also been added to the Video category on the left. The 5th category in our series of getting to know the English Blog is “Listening”, a topic that includes songs and who doesn’t like music? This category is focused on practicing listening skills through natural dialogs, dictations and song exercises. Real English – lessons with videos showing random people on the streets from different English speaking countries talking. 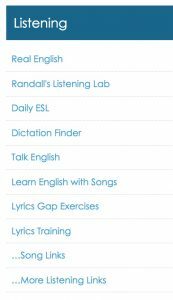 Randall’s Listening Lab: Many of you know this site has hundreds of short audios. Choose your level and topic. Listen to a conversation. Take a short quiz to see how much you understood. You can do more vocabulary exercises, too. Great to use in the classroom too! Daily ESL is a new spin-off from Randall’s Lab. It helps students build their speaking skills through Conversation Starters centered around every day topics. Dictation Finder – index that makes it easy to find a dictation topic you like at the right level for you. Talk English – has over 900 short audio /video lessons around every day conversions, business dialogs and grammar structures. Lyrics Gap Exercises and Lyrics Training both have hundreds of popular songs with pre-made exercises at easy,medium, hard levels. Listen up and fill in missing words in the song lyrics. We have two page of more links here – one focused on songs ….Song Links and the second on any other type of listening activities ….More Listening Links. Please look through some of the links on these pages to see what is available. Kim Saunders had developed a series of lessons on common public health concerns such as bedbugs, lice and roaches for the refugee program. However these problems can happen to us all and the lessons are suited for all immigrants who may not be aware of what they can do about them. If they receive a letter about a lice outbreak from their children’s school, they may be confused about what is happening. The lessons are provided complete with pictures, readings, activities, and handouts. You can find them on the Lessons by Wake Tech instructors page under the Public Health section. The page is located in the Lesson Planning Category of links. 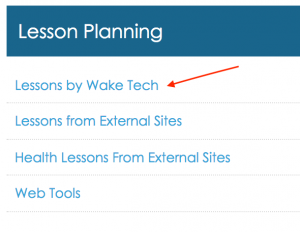 Take a look around this page – you may find other useful lessons created by Wake Tech teachers over many years on a variety of subjects. 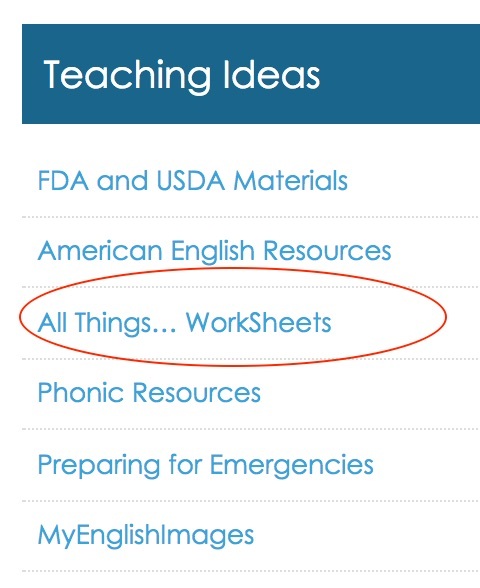 During a recent PD session that was reviewing the 3rd edition of Ventures, Holly Williams share a great nugget of information that many other teachers were unaware of: there is a wealth of classroom activities available for the Ventures textbooks online. 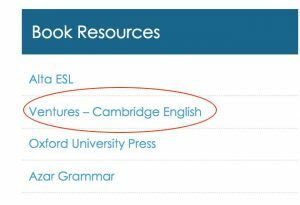 Please check out the new page under Book Resources called “Ventures- Cambridge English” to find out more about the type of worksheets available. 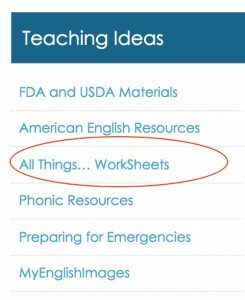 In Search of Quality Worksheets / Activities? The 4th category in our series of getting to know the English Blog is “Grammar“, a topic near and dear to our hearts. English Grammar 101 – Step by step, lessons explain grammar points to students and then give lots of examples to practice with. 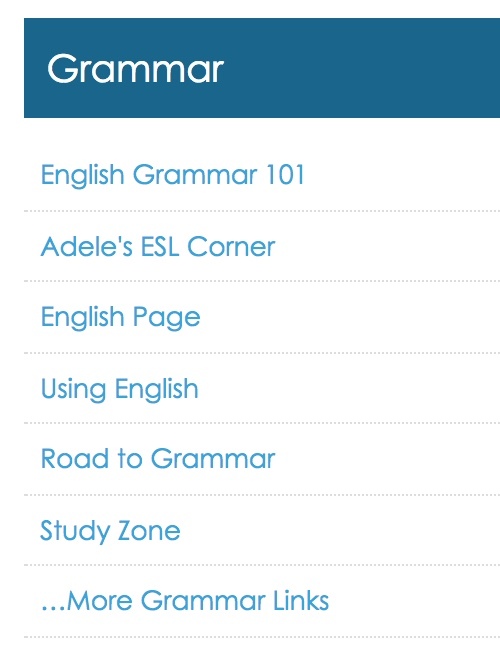 Adele’s ESL Corner – no lessons but many exercises to help students practice different grammar points – very good for beginners and intermediates. English Page – detailed lessons on a grammar point and then links to exercises to practice. Grammar topics range from basic rules to advanced rules and usage. Using English – extensive glossary of grammar terms. Each glossary item has a definition ( short explanation) for that grammar term and then links to several “quizzes” (exercises) related to that grammar term grouped by difficulty level. Great reference for phrasal verbs, idioms or irregular verbs. …More Grammar Links – this page contains more links for the same category. Please click on some of this links to see what is available to you and your student. If you have a favorite grammar site that we missed on our “…. More Grammar Links” page, please send it to us via a comment.